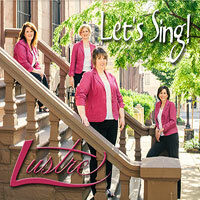 Lustre is a lovely award winning quartet out of the Baltimore area. Lustre's musical adventures began in 2005, and what a journey it has been! Kate, Lori, Lori, and Jenny met through Harbor City Music Company Show Chorus, and have been ringing chords together ever since. They have wowed their audiences at performances and contests around the country, from shows in Maryland, DC, and Pennsylvania to international competitions in Houston and Denver. You may even have seen them singing at a Baltimore Orioles game or two! Lustre is proud to be the 2013 Sweet Adeline's International 7th Place Quartet Finalist. Lustre, Tenor Kate, Lead Lori Crouter, Baritone Lori Dreyer, and Bass Jenny started their musical adventure in 2005 with Baltimore's Harbor City Music Company Show Chorus, receiving several Sweet Adelines Regional and International awards, most recently being named 2013 SAI 7th Place International Finalists. In Feb. of 2013 they won the Mid Atlantic Harmony Sweeps Regional and blew us away at the National Finals in San Rafael, placing 2nd in an incredibly strong field! "Let's Sing!" is their debut album, quickly funded on Kickstarter, and it captures the vocal entertainment power and big fun of these remarkable 4 ladies. Some favorite among the 13 winners are the Disney standard "Zip-A-Dee-Doo-Dah," "Flirty Eyes," "The Way You Look Tonight," "Let's Sing Again,"
"Nobody Does It Like Me," "What Kind of Fool Am I?" "South Rampart Street Parade" and the very funny "I Want A Hippopotamus for Christmas." 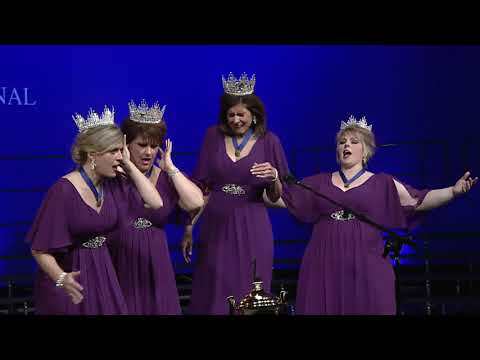 The Harmony Sweeps Finals attracts the best in the world in vocal harmony--these gals almost won it all, and rightly so. Don't miss this one!